This engaging audio course includes recordings of one of Luisa’s most popular workshops. 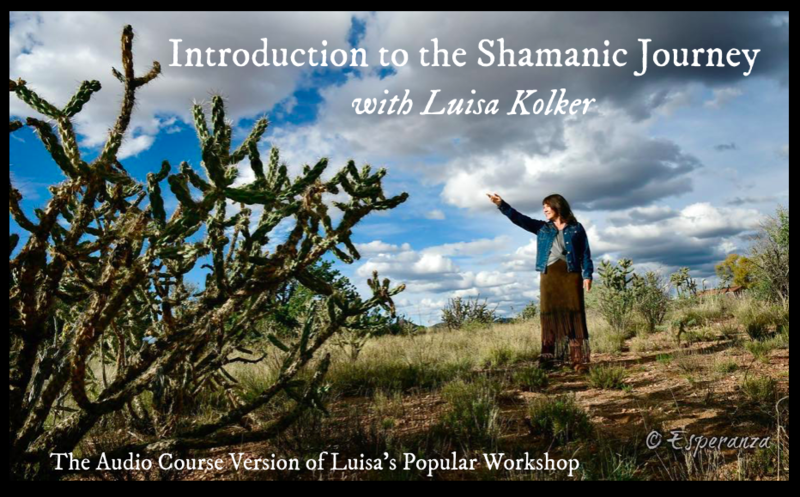 Luisa will share with you the foundations of the shamanic journey technique—a technique in which you intentionally expand your consciousness to non-physical dimensions to retrieve healing and guidance. In this easy-to-follow, step by step process, you will learn about the cross-cultural, earth-based practice of shamanism and be guided through your own experience of the shamanic journey technique. The course takes about 2 1/2 hours from start to finish. Take the course at your own pace, returning to and reviewing the workshop page at your convenience. After purchasing, you will receive login information that allows you to access the course.